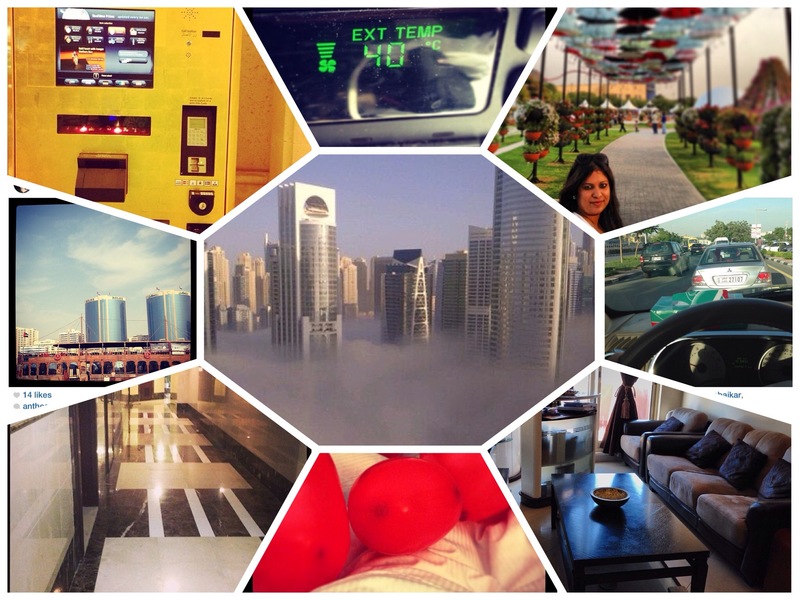 10 things I miss about Dubai! It’s been a little over a year, that I’ve moved out from my home of 6 years, the beautiful Dubai- United Arab Emirates. An oasis in the desert, the hub of trading- the land where east meets west! No place is perfect, and Dubai has its pros as well as its cons. Personally, I’ve had a great experience living there, loads of fun, love, laughter, and professional milestones, all interspersed with its own share of frustration, anger and pain. 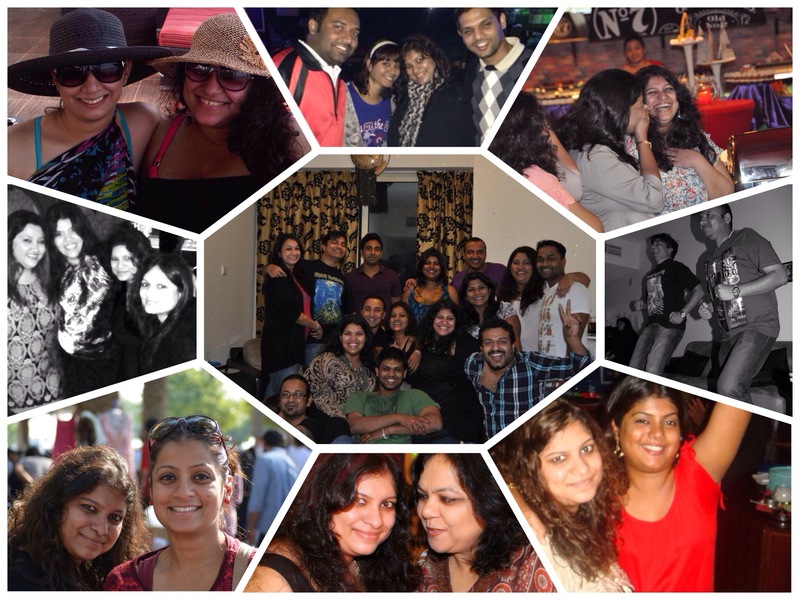 In light of this, here are the 10 things I really miss about the city/ country! Never have I had such a close, amazing and beautiful set of friends right from the minute I set foot in Dubai, to the minute I left. From school friends, family friends, chance meetings in elevators to a close knit family who’s there for you- no questions asked- I could never want more. And thanks to social media and technology, most are only a video call away. Yes I’ve missed out on giggles, fun, laughter, major events- birthdays, weddings and the birth of babies- imagine my joy when I go visit them all! Prepare all of you- prepare! It’s not all about the Shwarama! Where do I begin to tell the story of my love- that is Food? 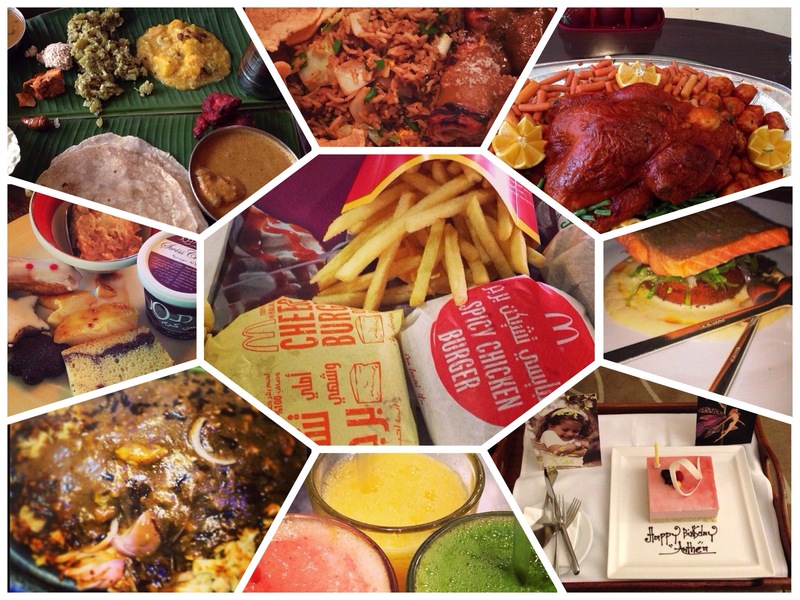 Crave cuisine from all over the world- from Europe, India, America, or Africa? Come here and try every nation’s authentic cuisine. IHOP you are better in Dubai than in your native America! Magnolia- you are overrated in Dubai, but Ocean Basket- you are out of this world- as always!And Indian restaurants- I now value you, especially when I have to pay 10 USD for something that cost me 7 AED in Dubai. Dream about it- and find it here in Dubai! Hear me Missie! Don’t ever complain about the hot summer. Yes, the temperature can reach an astronomical high, but that doesn’t stop you from swimming a few laps in your outdoor pool, or going to the beach at night! And yes- bus stops are air conditioned too! Unless you walk the streets at noon, you really have nothing to complain about! Nothing is far from the beach- which brings me a sense of peace and calm! I regret not having exploited to its full capacity (in a good way), Dubai’s free beaches, and numerous hotels with clean white sand and wonderfully mixed drinks served right on the beach, at nominal prices! Relatively much cheaper than here in the US, you can easily own 2 or maybe 3 great cars- and really let’s not talk about the price of gas, wide open spaces and newly constructed well lit roads! Yes, you will tire of desert and sand- but Al Ain with the ever famous Jebel Hafeet, farms and greenery is just a short ride away! You do not have to be able to afford the Burj Al Arab, the Atlantis (which is pretty affordable), the Banyan Tree or the Armani, to be offered the best service on planet earth. The hospitality industry is very customer oriented and offers you some of the best experiences ever. Even the world famous Bellagio in Vegas, doesn’t come close to hotels in Dubai! Ahem! No tax on cars, no tax on your salary, no tax on your business, your food, and you can even manage to buy alcohol without paying taxes, if you are willing to drive a few extra miles! How I miss those early am trips on Fridays, to Umm Al Quwain! If only I appreciated it then. The importance of a tax free salary has only sunk in now that I’m up at night for hours, trying to do our taxes! You can choose from numerous options, whether you want to live in the heart of the city or in New Dubai! In a high rise or a sprawling mansion, by a lake or by the sea- the choice is all yours. This city is where old meets new. Character complemented by the best amenities and brand new homes. Apartments are like hotel rooms, boasting a concierge, pools, and even housekeeping at times- all this, while a 10 x 10 space is considered a steal this part of the world.Take your pick! Not only do you get an entire month off a year, your employer provides you with a return ticket to your hometown (Yes, this is the law)! and for me it was a 2.5 hour plane ride home- of course I really miss this! As if that isn’t enough, Dubai is strategically located, such that most vacation destinations are a few hours away. What’s to stop you from hopping onto that flight to Paris, London or South Africa, especially with both Emirates and Etihad as well as Fly Dubai and Air Arabia (some of the national carriers) offering some awesome deals. No wonder I managed to travel so much when I lived here! So,10 points off the top of my head: let’s just say that it was a great experience and some of the best years of my life, which also helped me perfect my art of texting and driving- Shame on me! Previous Ensconced in the heavens. Next Why I may never drink a hot chocolate or eat a chocolate chip cookie ever again!!!!! Interesting post. I visited Dubai for a weekend and liked it, was definitely not enough time to explore. Dubai isn’t perfect you know. It’s lacking a few things; you and Rohan. Aww that’s the most beautiful thing to say- ever! U must! It’s not exotic but it’s a young fun city! Great to read about my current home. May be someday I might write a post like this about Dubai. I think the summer is horrible though I have stayed in various parts of middle east. I think it has extreme summers but winters are nice. Do post about some adventures you happened to do in Dubai, or wait…did you already post it up? I loved hearing about Dubai! Definitely adding it to my “Places I Need to Visit” list 🙂 My favorite thing was the part about no taxes. Living in NYC myself taxes are the bane of my existence!!! Oh Kelsey.. Yes it’s a great place to visit! Sigh! Taxes here kill us! Wow. I didnt know all these! thanks for sharing and sounds like its a nice place to visit. Shanghai n Hong Kong are on my bucket list!!! I love anything having to do with travel! Great blog! I will, for sure Anthea 🙂 !! !